Follow the steps below to create a Flash video file with closed captions or subtitles using Adobe Flash Professional CS5.5. For additional information, see Adobe’s resources on captioning video in Adobe Flash CS5.5. Also, see Adobe’s resources for captioning in Flash CS4 and Flash CS3. 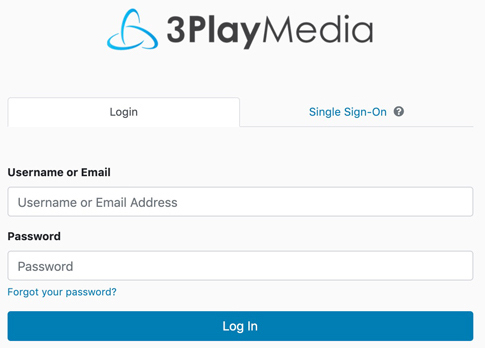 After receiving a notification email that your file is ready for download, log into your 3Play Media account. Locate the file associated with the video you intend to work with in CS5.5. When it has been selected, the box to the left of the filename will become checked and the line will become highlighted in blue. The Request Download pop-up menu will appear. Click the download icon for the DFXP file format. The file will begin downloading to your computer. Launch your Adobe CS5.5 application. Open a new document and choose ActionScript 3.0 in the Start panel under Create New. Import your video by selecting File > Import > Import Video. If your video is not already in a Flash FLV or F4V format, you will need to convert it using Adobe Media Encoder or another file converter. Select a skin that supports captions (you can change the skin at a later time by selecting the FLVPlayback component on the stage and editing the skin property). Wait for the video import to complete. Resize the player by selecting Modify > Transform so that it fits in the white workspace. Select Windows > Components and double-click the FLVPlaybackCaptioning component. 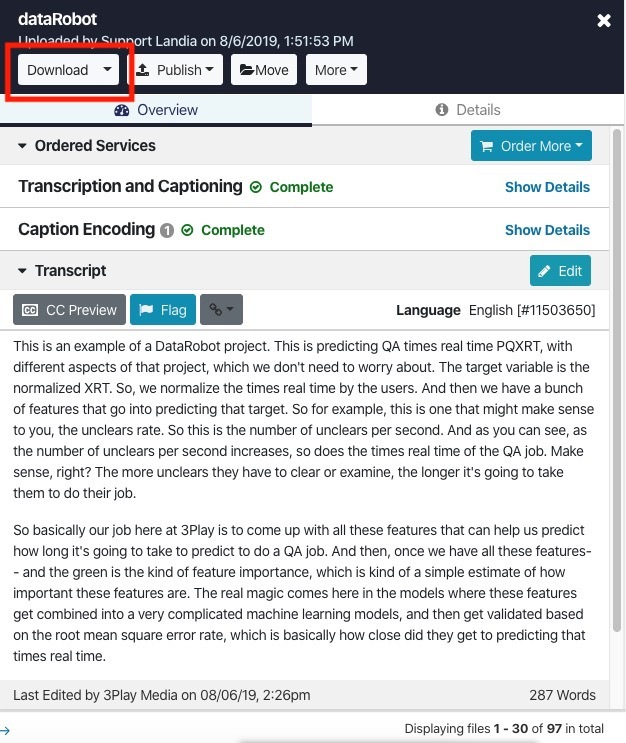 In the Component Parameters section, check the box next to showCaptions and enter the name and location of the caption file in the source field (if you placed it in the same directory as the media file, then just enter the filename). Specifies the name and location of the caption file. For additional information, refer to Adobe’s resources to customize the FLVPlaybackCaptioning component. To test the captions, select Control > Test Movie > Test. To publish the captioned video, select File > Publish.